Some chroniclers have called black history from 1881 to 1915 'The Age of Booker T. Washington' and the label is apt, for he was without question the most prominent spokesman for his race during the post-Reconstruction period. Many of his contemporaries deemed him a savior -- the one man who could bring concrete improvement to the lives of African-Americans while also promoting racial harmony. Others, particularly black intellectuals, called him a traitor to his race, asserting that his accommodationist position not only contributed to black disenfranchisement and dejure segregation but, in the words of W. E. B. Du Bois, 'practically accepts the alleged inferiority of blacks.' 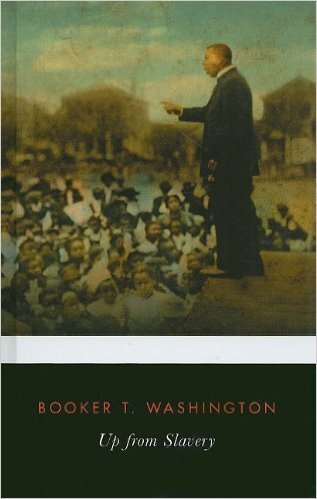 But however one judges Booker T. Washington, his vast influence is inescapable, and his autobiography, "Up From Slavery," winner of the National Book Award, is essential reading for anyone seeking insight into the black experience in the early 20th century. In "Up From Slavery," Washington does not dwell on his relatively brief period of enslavement, focusing instead on his struggle to rise above it. For a more balanced look at the experience of slavery itself, this special Collector's Edition includes excerpts from the slave narratives of five less-well-known black writers, offering perspective and background to Washington's story. The text is further enhanced by a rich mix of archival material from the New York Public Library's Schomburg Center for Research in Black Culture.